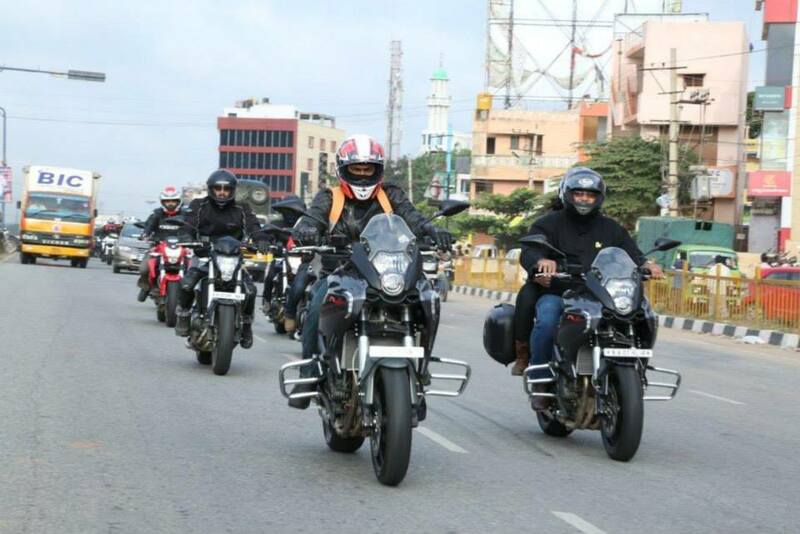 It is now a widely known fact that the Indian motorcycle market is one where every motorcycle wants to be, and every single motorcycle manufacturer in the world has realized the need to make their presence felt in our market if they wanted to grow. 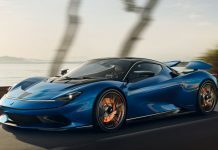 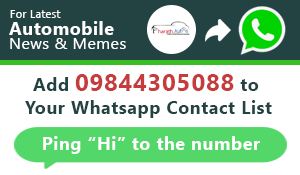 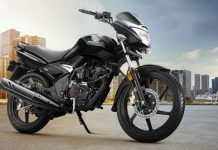 Benelli is a motorcycle manufacturer based in Italy, and they have been producing some of the most exotic motorcycles in the world for decades now. 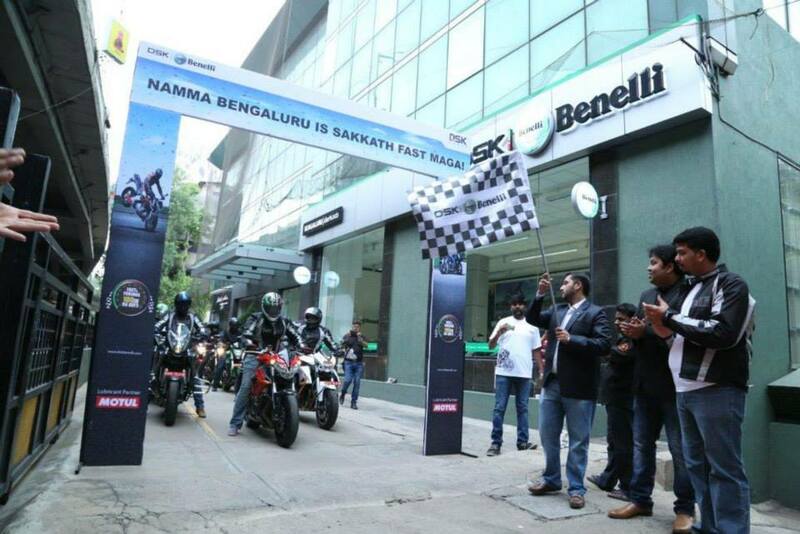 Benelli felt the need to show their presence in the Indian market and hence launched a range of their motorcycles in India just over three months ago, and now Benelli has achieved a feat and has hit a milestone, which no other superbike manufacturer has so far been able to achieve. 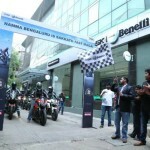 Benelli has sold 100 motorcycles in 3 months, which is an extraordinary feat for a superbike manufacturer in our market. 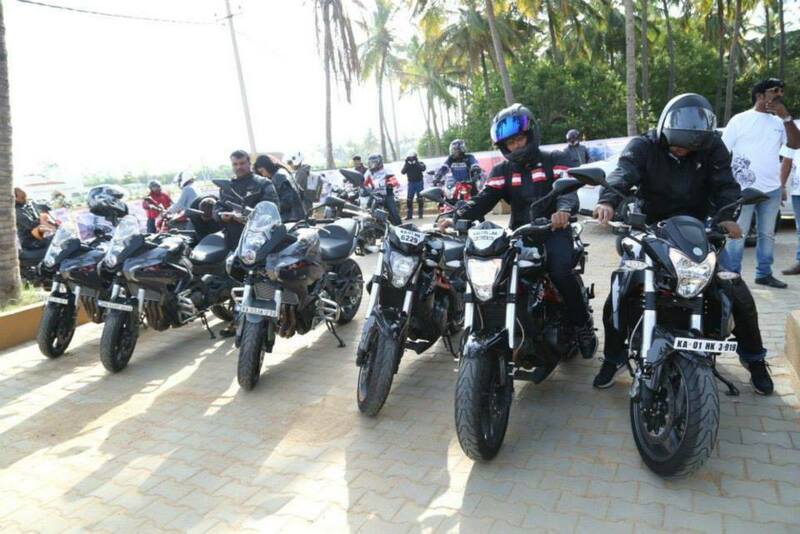 This was the quickest time for any superbike manufacturer to achieve the milestone of 100 units being sold within a period of 3 months. 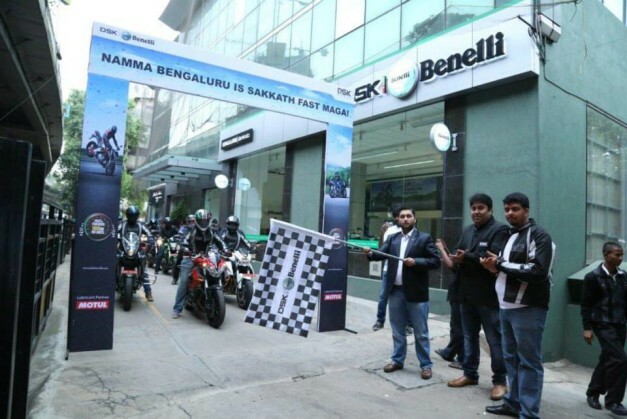 DSK Motowheels had partnered with Benelli motorcycles to assemble few of their motorcycles in India and sell their entire product range, and this seems to have worked out very well indeed. DSK Benelli has their state-of-the art showroom located at Richmond circle, where they have on display the entire range of benelli motorcycles. 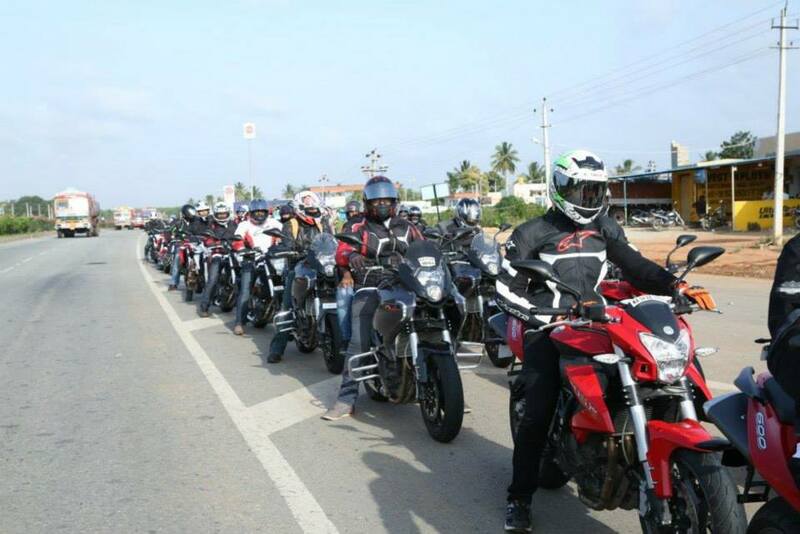 DSK Benelli celebrated this Achievement/milestone by organizing a celebratory ride towards Kolar on NH-4. 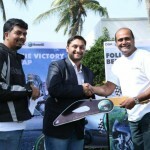 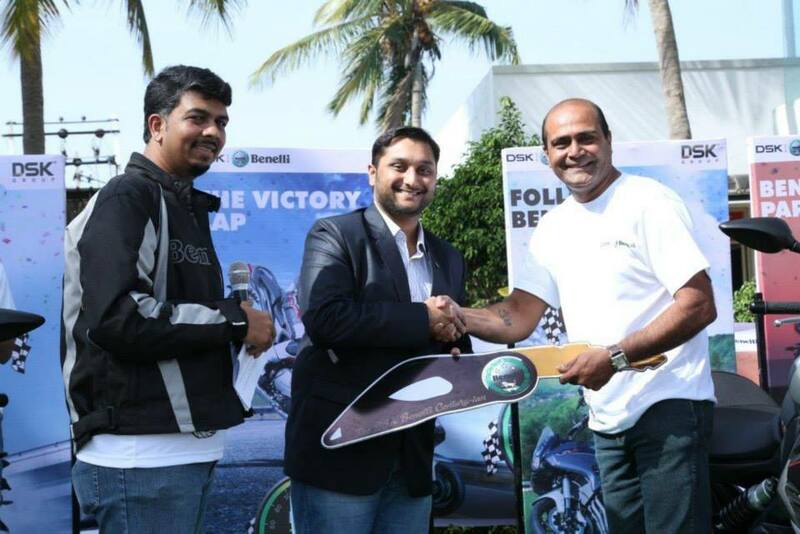 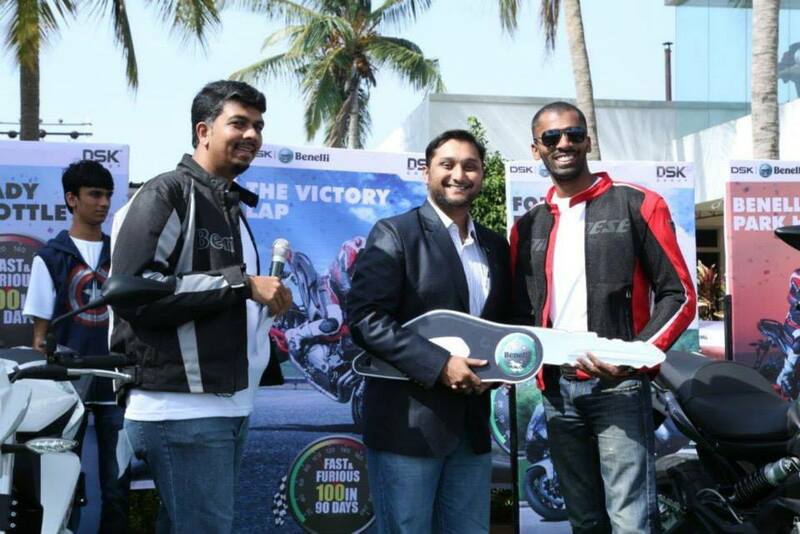 Before the beginning of the celebratory ride, keys to the 100th Benelli motorcycle were handed over to the lucky customer by Mr. Shirish Kulkarni, chairman of DSK Motowheels while the other 99 owners were invited for the occasion. 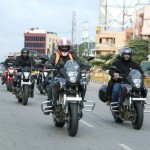 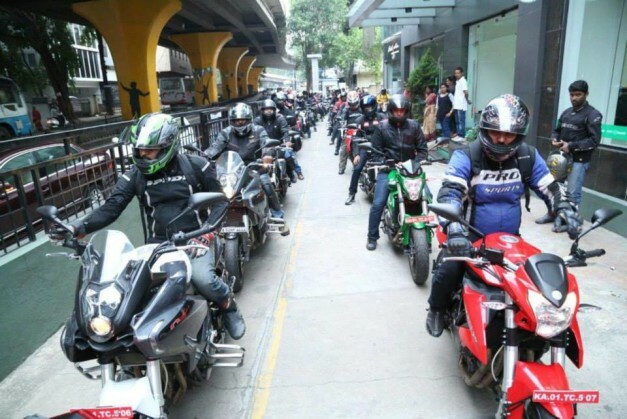 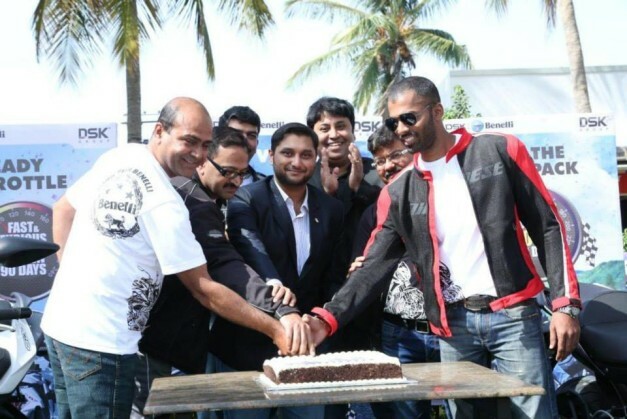 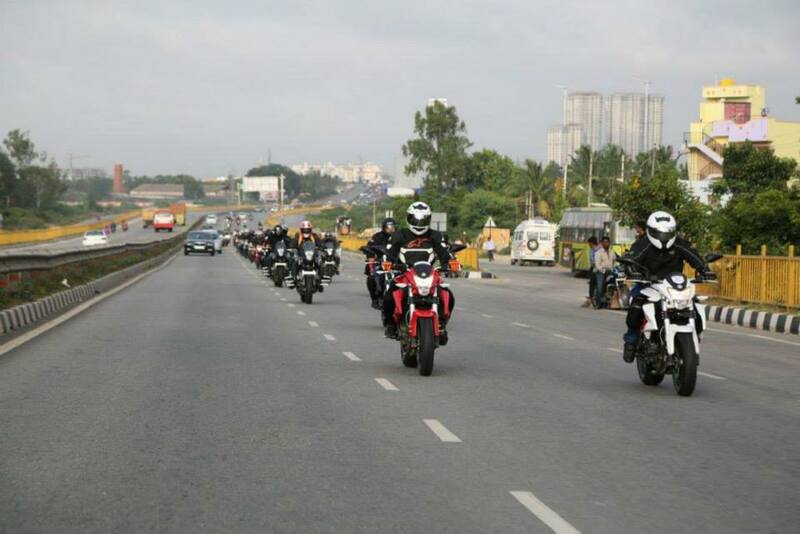 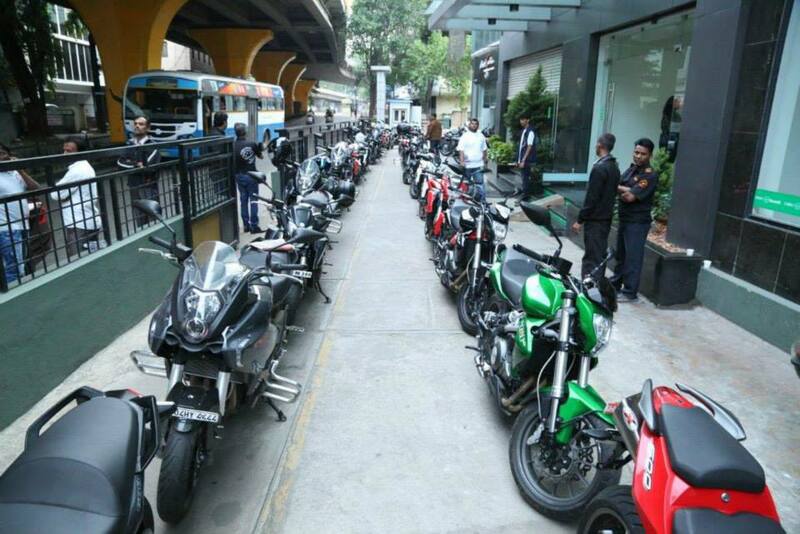 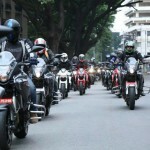 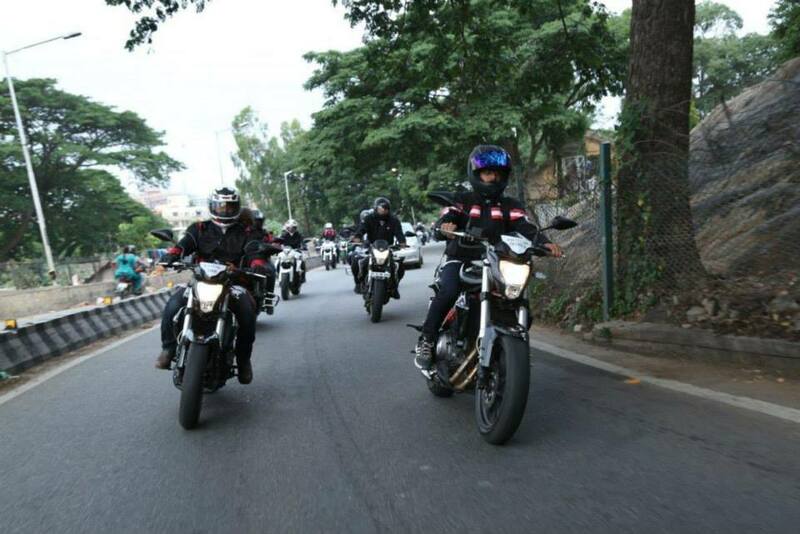 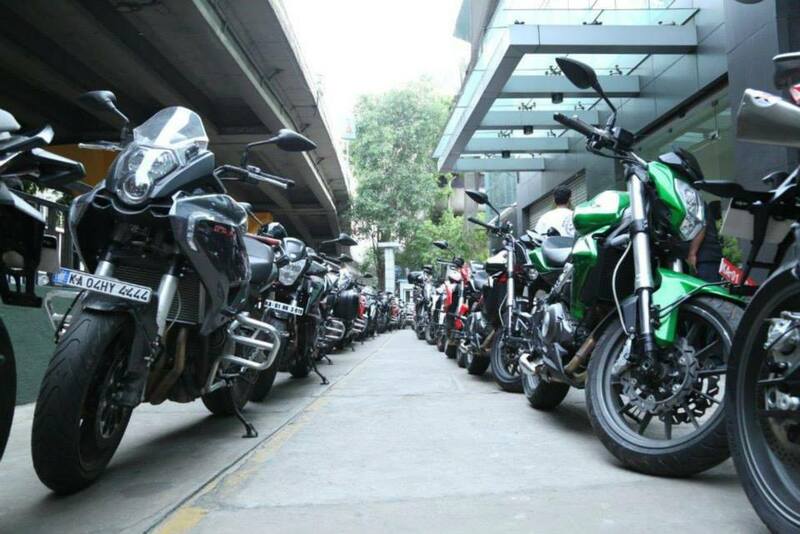 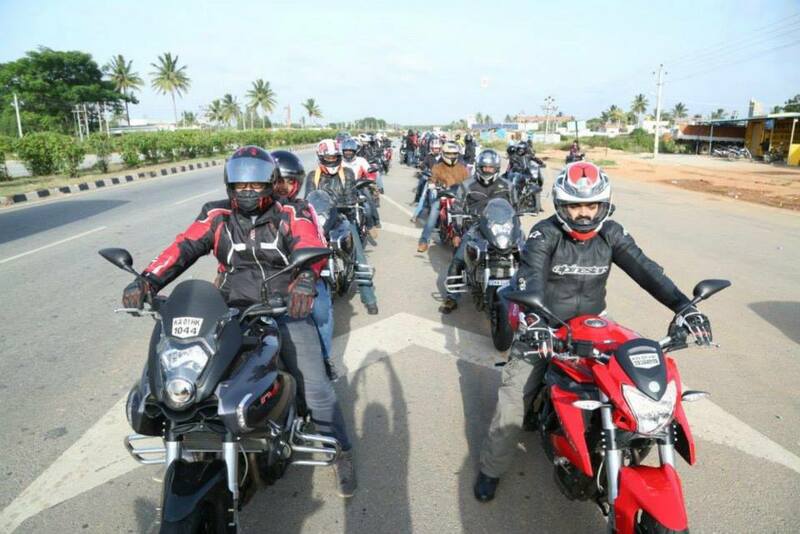 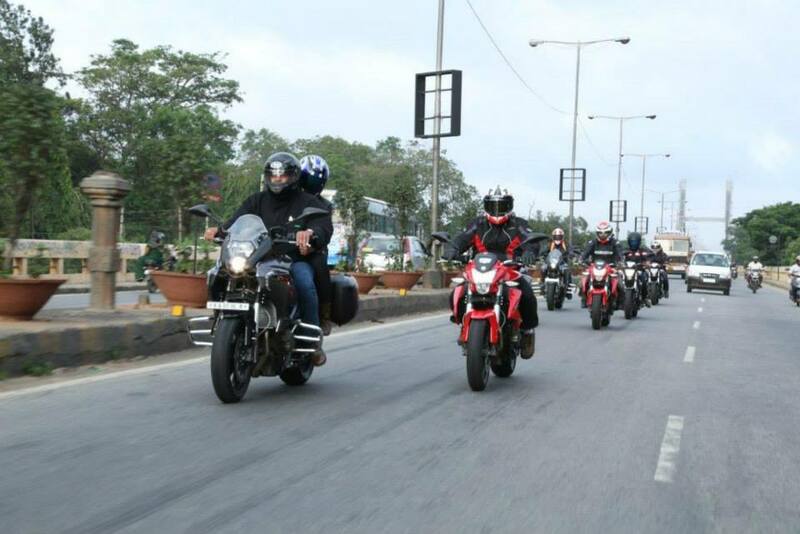 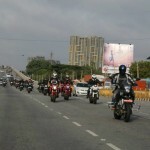 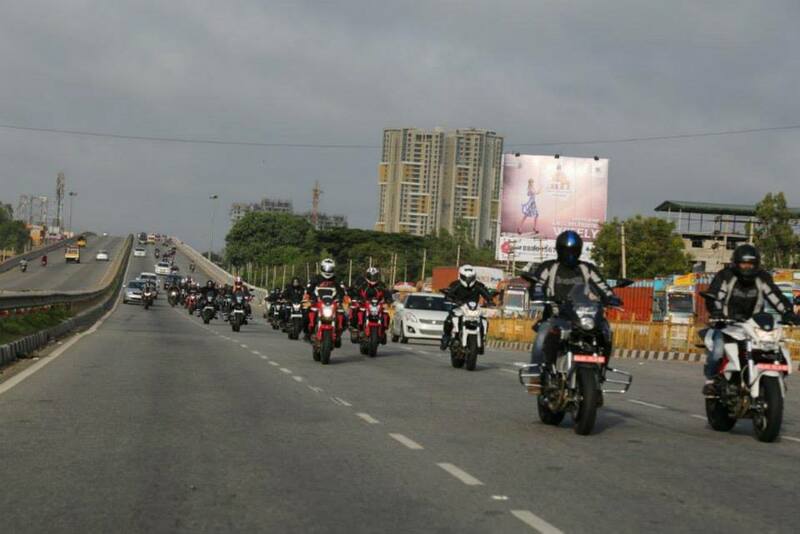 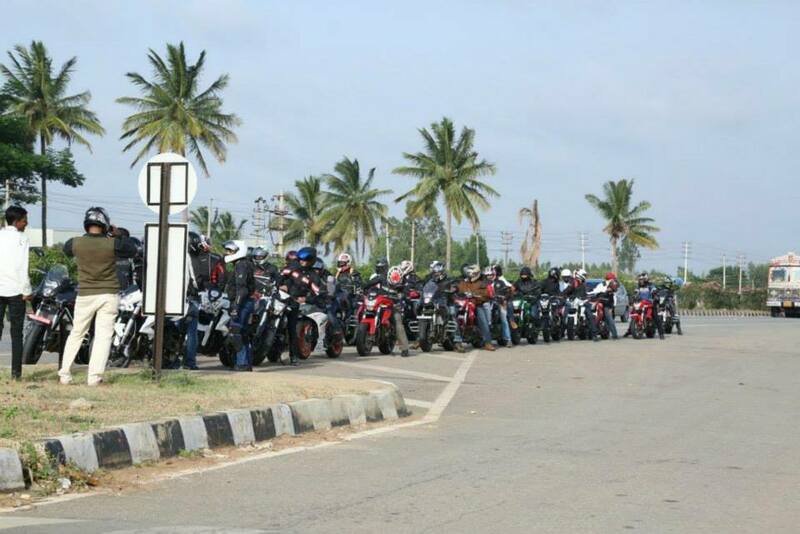 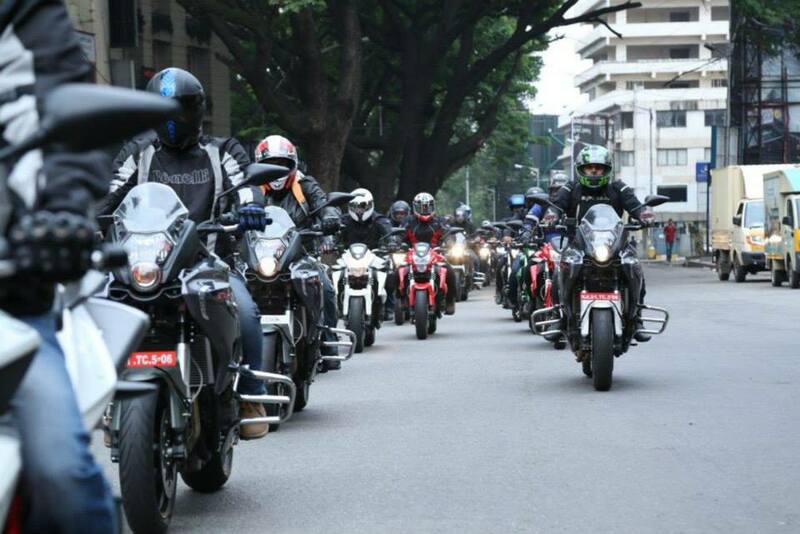 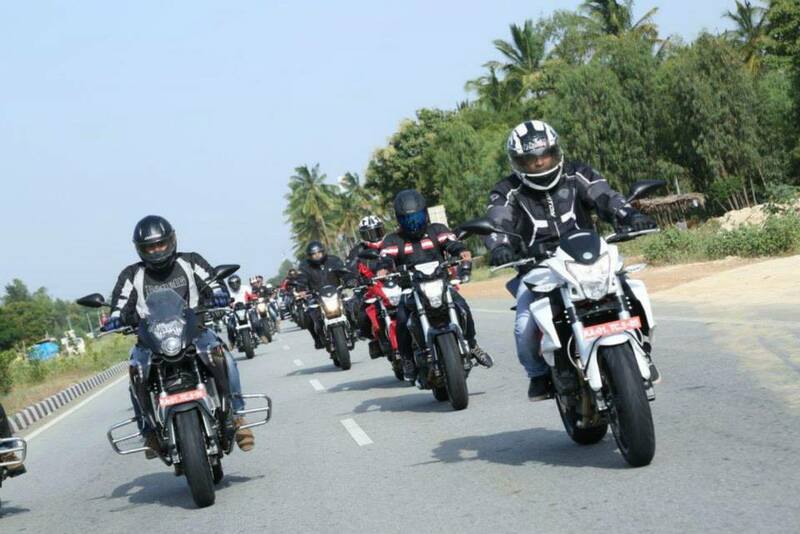 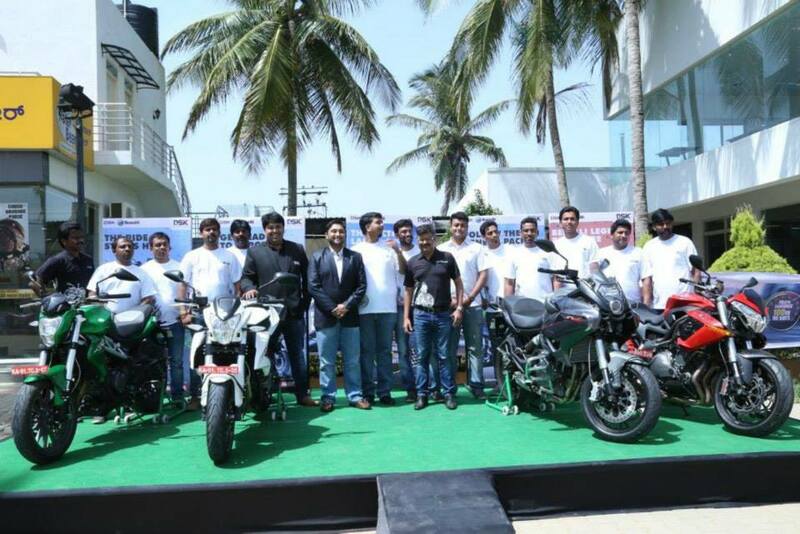 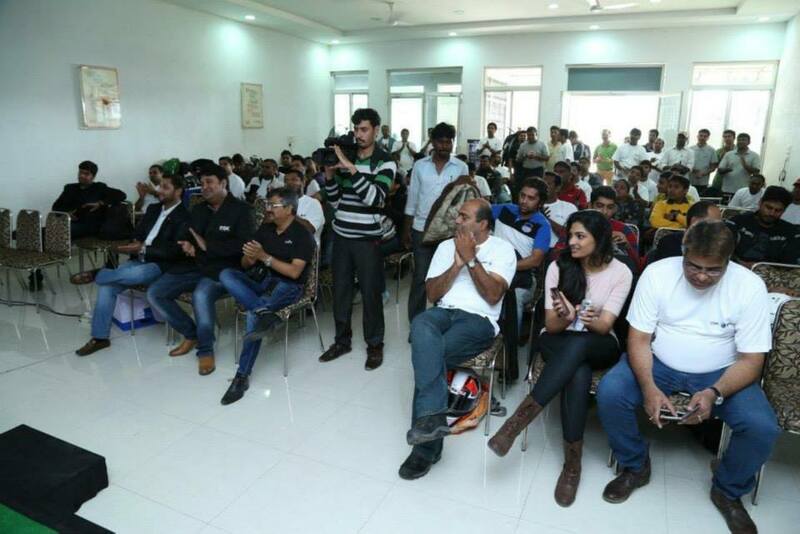 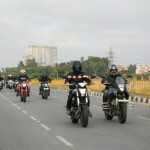 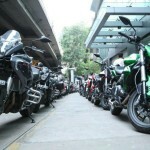 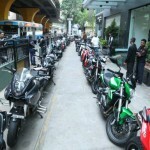 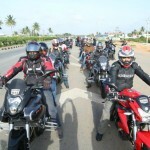 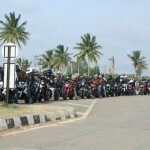 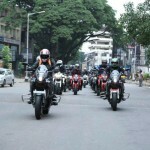 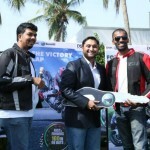 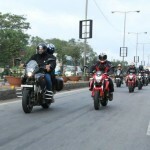 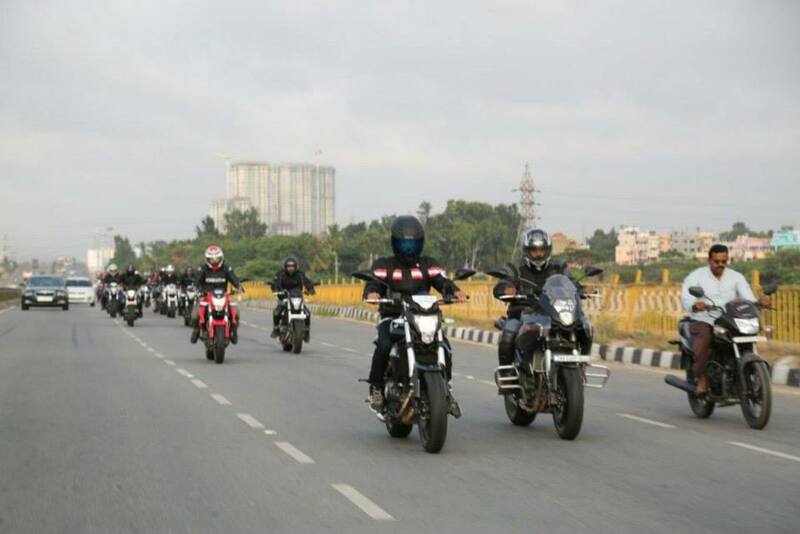 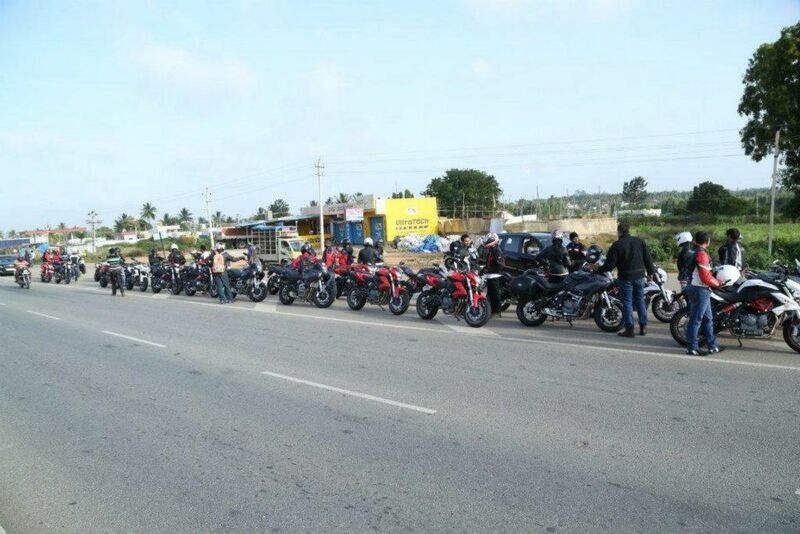 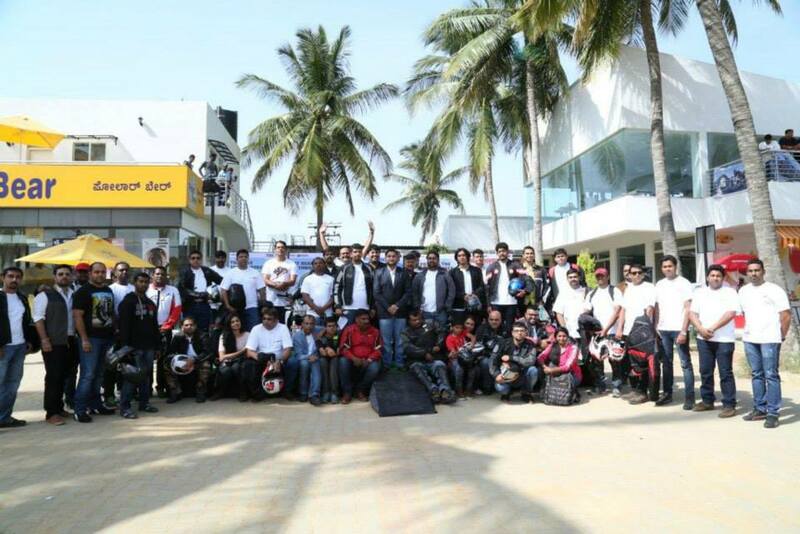 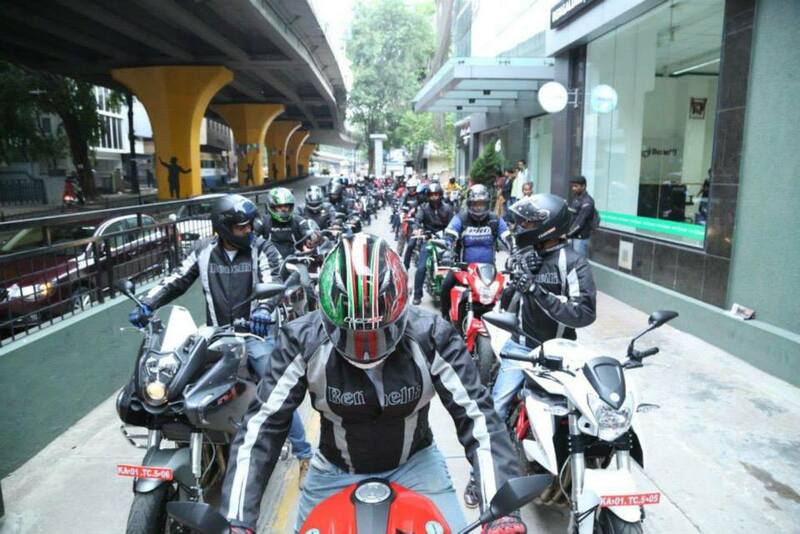 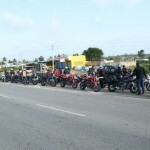 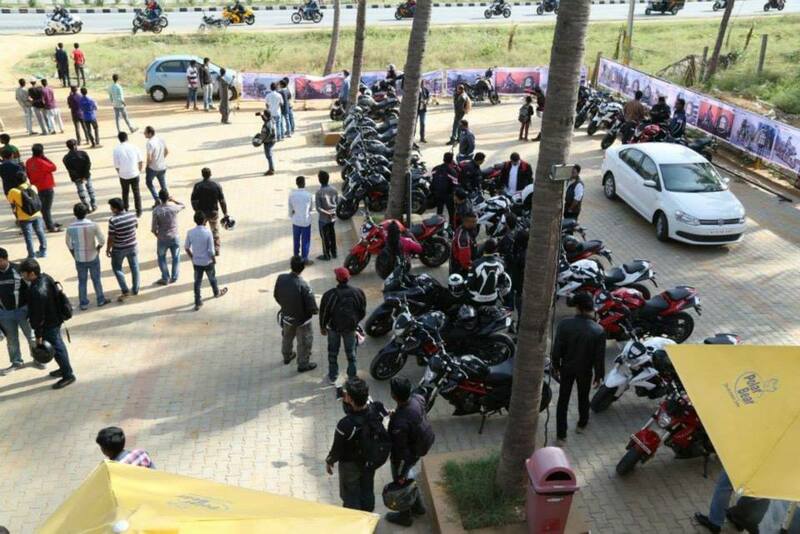 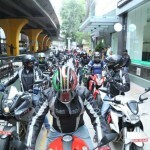 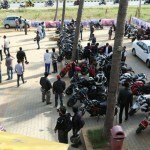 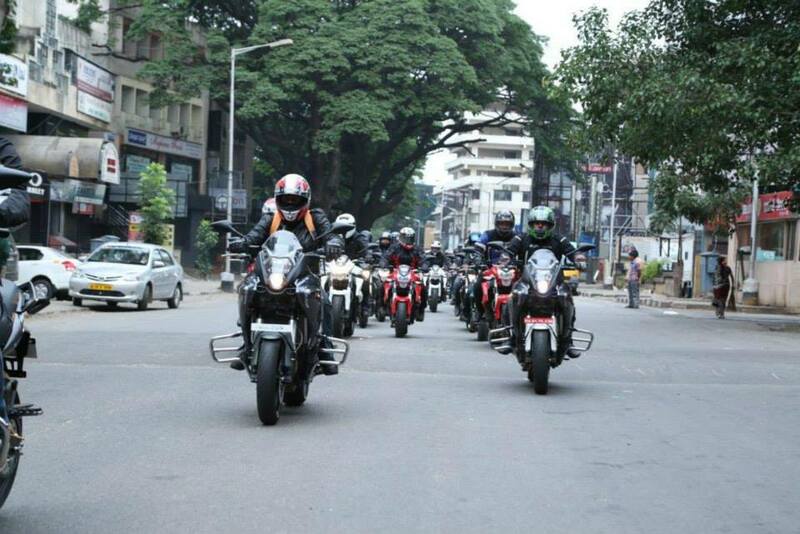 The 100 bikers then rode their motorcycles towards Kolar, from the showroom at Richmond circle. 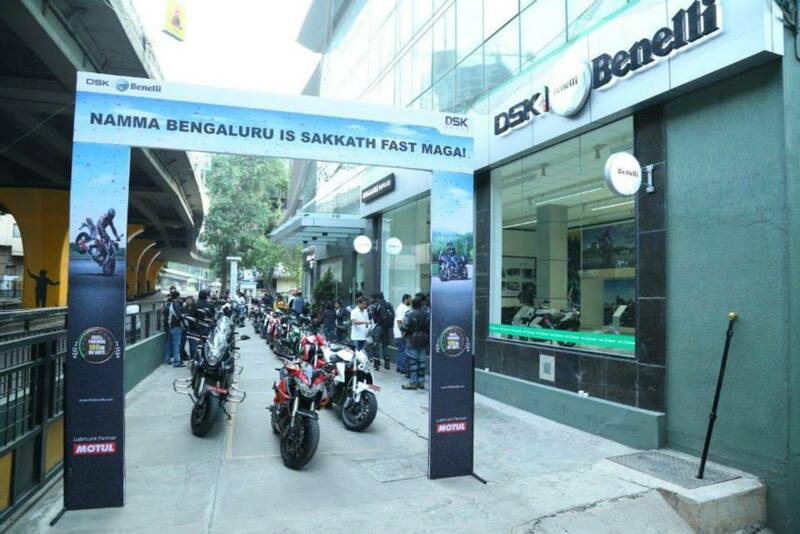 The motorcycles DSK Benelli has on sale in India right now are: TNT 300 (In-line two cylinder 300cc engine); TNT 600i (In-line four cylinder 600cc engine); TNT 600 GT (In-line four cylinder 600cc engine); TNT 899 (In-line, three cylinder 898cc engine); and TNT R (In-line, three cylinder 1131cc engine). 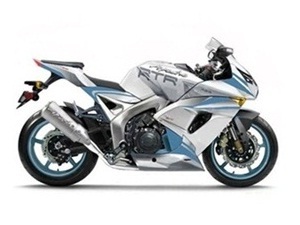 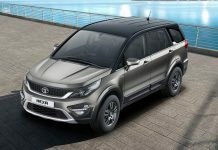 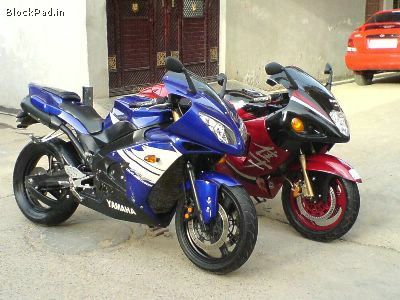 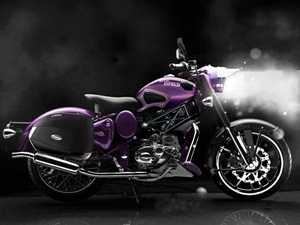 Prices for these motorcycles start from INR 3.5 lakhs, and goes all the way up to INR 14 lakhs. 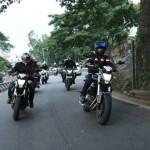 The Benelli TNT 300, TNT 600i and TNT 600GT are brought in via the CKD route from their plant in China and then assembled at the DSK Motowheel plant at Wai, near Pune while the TNT 899 and TNT 1130 are imported as CBU from Italy. 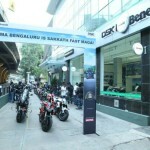 This growth rate reported by Benelli is an amazing sign to the world and to ourselves that, the average Indian customer has now fully warmed up to performance motorcycles, and even those who are new to the world of motorcycling wants a performance motorcycle and the best part is, even the manufacturers are responding very well indeed to this shift in tastes of the Indian consumers.